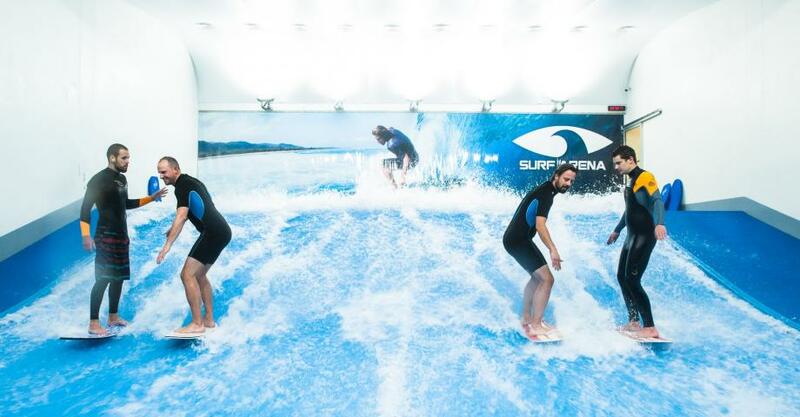 Indoor surfing is a perfect idea for an original stag party. You need something special for a stag do, right? Not just ordinary drinking at a normal bar. 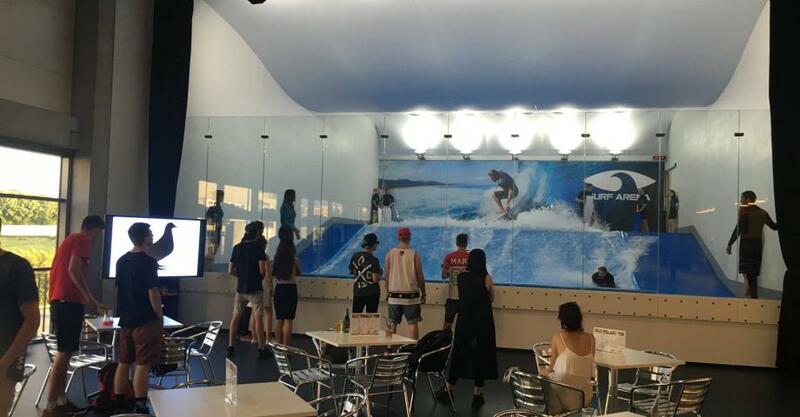 So how about a combination of a surfing simulator, a music club and a bar? Sounds fun? 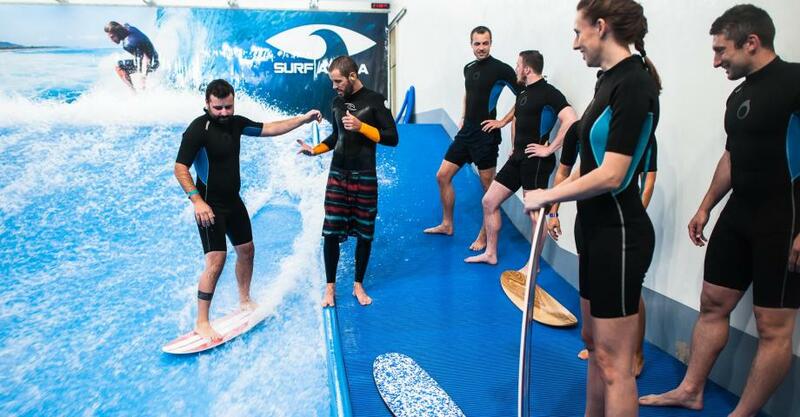 Try surfing in a special surf arena in Prague. No need to wait for the right wave. Everyone is the right one here. So relax and have fun. 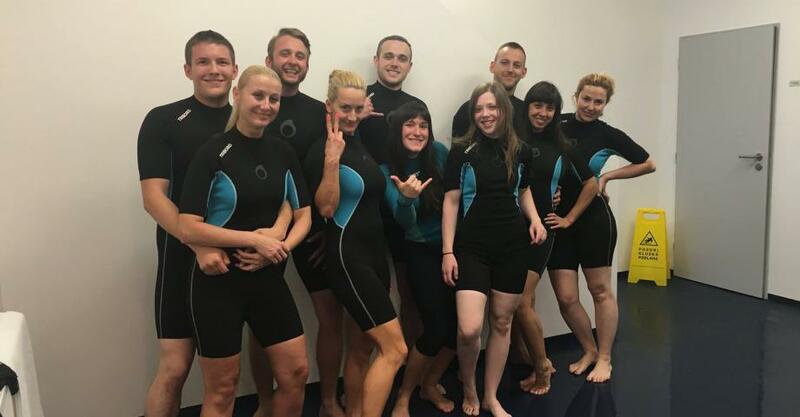 Try bodysurfing first, then move on to the classical standing posture and with the help of our friendly instructors you can end up performing somersaults. 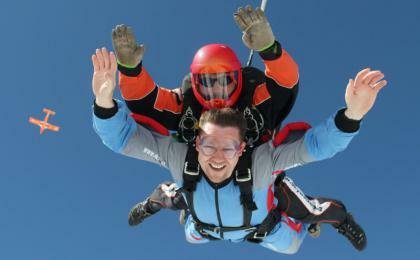 Round up your buddies and get ready for a stag party with adventure and fun. 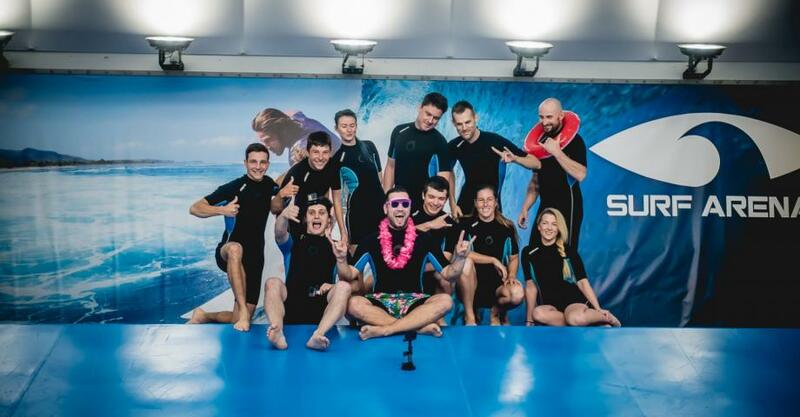 Experience surfing in Prague and take part in a funny contest. An hour of private surfing includes a beer as a reward for everyone afterwards plus a video to keep some memories. 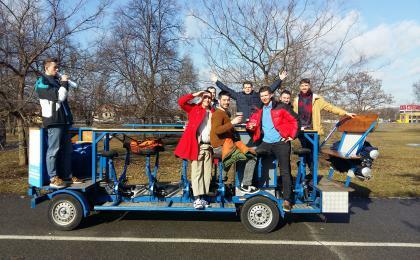 Go for a surfing stag party in Prague! After briefing on the side of the pool, you will try artificial wave on bodyboard to learn basics about how does the wave work. You will be supervised by instructors all the time. 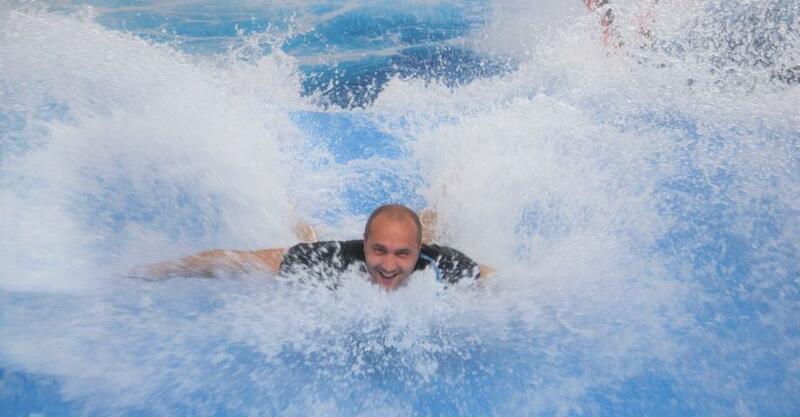 After getting some basic habbits, you will switch to propper surf and enjoy the ride! This activity is suitable for any person older 6 years. This activity is up to 12 persons. There might be other participants during the course as well. They can stay in the hall with bar and view of the pool.